Mutiara Bank was previously known as Bank Century and has since been restructured in the lead up to being acquired in late 2014 by J Trust Co., Ltd (J Trust) – a Japan-based holding company with a wealth of experience in the global financial industry. Under new leadership, Mutiara Bank is on the precipice of a corporate evolution that will soon see it rebranded as Bank J Trust Indonesia, and strengthen its position as a leading bank in Indonesia with an emphasis on the retail and SME segment. To better meet growing local demand for trusted banking products and services, Mutiara Bank is investing in the latest IT technology and systems for greater efficiency and to significantly enhance customer convenience such as through internet banking and branchless banking. Under the guidance of J Trust, the bank strives to adhere to strict international standards of operation and in this regard positions itself to serve as the financial institution of choice for cross border transactions, with a specialized understanding of markets in East Asia. The successful implementation of new internal processes is predicated on the bank’s ability to synergize its corporate culture with the values of its parent company. A shared focus on encouraging integrity, transparency and innovation at all levels of operation ensures a seamless transition for Mutiara Bank in working with fresh ownership to assume an industry leading role not only in Indonesia, but on the regional stage as well. Going forward, Mutiara Bank will stand as the cornerstone and foundation of J Trust’s growing presence in Southeast Asia. With the integration of the ASEAN’s banking industries set to take place over the coming years, the bank will prosper from a wider scope of opportunities to tap into its extensive branch network and advantageous position within high return segments. Established in 1992, Bank Victoria is a leading private commercial bank based in Jakarta. Listed on the Jakarta Stock Exchange, the bank serves individual customers as well as corporations from across the Greater Jakarta area. Supported by its implementation of sound corporate governance policies, the bank is well-known for providing banking and other financial and risk management services to Indonesia’s MSME sector. As such, Bank Victoria offers a comprehensive array of personalised products and services that cater to the specific needs of this segment. The bank attributes the strength of its cooperation to the development of its Good Corporate Governance principles (GCG); of which Bank Victoria’s self-assessment was positioned in the 'Good' category. Through this constant self-assessment of its performance and customer-centric service, Bank Victoria has established a loyal customer base as evident from the increasing number of third party funds which totalled 17.17 billion IDR in 2015, an increase of 6.15% from 16.17 billion IDR from 2014. Implementing effective corporate governance has been critical to the sound functioning of the bank and in doing so; Bank Victoria promotes public image confidence among stakeholders and shareholders as well as operating with better efficiency. This is showcased through the robust and transparent decision-making process and risk management policies adopted by its Board of Directors and other senior level management. Under such leadership, Bank Victoria’s dynamic and adept workforce is able to respond to changing external regulations, and in turn provide quality services to its clients. This is highlighted through its efficient and fast system for credit and loan applications, illustrating Bank Victoria's understanding for the importance of a fast and reliable loan disbursal service to its individual and corporate clients. Building on this understanding, the bank has broadened its products and services portfolio to cater to the increasingly tech-savvy MSMEs; part of this scope includes the establishment of a shariah entity in addition to a mobile and internet banking service. With many MSMEs having established an e-commerce presence, the bank looks to take advantage of this platform by providing a comprehensive on-demand service. This will provide greater financial convenience for customers in addition to benefitting the bank through supply chain financing as e-invoicing and e-purchasing systems become better integrated. Indonesia, having one of the largest unbanked populations among its peers in the ASEAN presents a considerable opportunity for financial institutions looking to expand their customer base. Going forward, Bank Victoria will continue to extend its reach across the archipelago through its distinct personalised approach to every customer. Mortgage Deception Pty. Ltd. provides advisory services to those that have obtained residential mortgages since 2011 and may have been subject to improper practices by their mortgage provider. The company offers free information bulletins and advice at www.mortgagedeception.com in instances where clients should pursue legal action against their lender. Bank Capital Indonesia Tbk is a commercial bank that was established in 1989 and became a publicly traded company in 2007. The bank has its headquarters in Jakarta and operates a total of 60 branch, sub-branch, and cash offices which are mostly located in the Jakarta region. Bank Mestika Dharma Tbk is an Indonesian commercial bank based in Medan, North Sumatra. Most of the company's 11 branch offices, 45 sub-branch offices and 9 cash offices are spread on the island of Sumatra. Bank Mestika Dharma is a publicly traded company providing banking products such as savings and time deposits, investment and working capital loans, consumer loans, trade finance, etc. Bank Mestika Dharama is a subsidiary of PT Mestika Benua Mas. 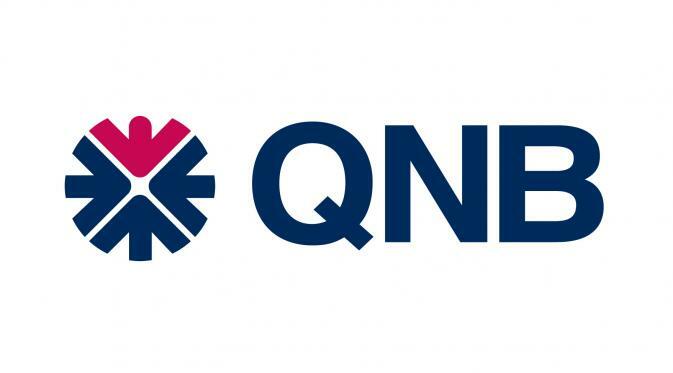 Bank QNB Indonesia is a commercial bank in Indonesia with a main business focus on providing retail banking services. The institution has been a member of the Qatar National Bank international network since its takeover by the Qatari bank in 2011. Bank QNB Indonesia became a publicly traded company in 2002 when it was still called Bank Kesawan Tbk.